In an increasingly Cloudification context, your environments are even more complex and heterogeneous: legacy hosted applications, Public Cloud’s PaaS solutions, SaaS partners or even Datalake platform. Agarik, network operator and infrastructures outsourcer, inter-connects and operates for you these multiple environments, and can commit on an end-to-end responsibility. Agarik’s “Connected Operating” offer is an exclusive centralized multi-skilled operation service, which is capable of addressing all types of environments: private or public cloud, physical server, application contexts and Big Data technologies in any type of hosting environment. 4 reasons to choose our “Connected Operations” service ? 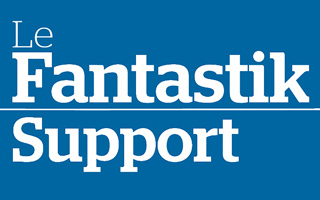 The Fantastik Support is your one stop shop for all your environments, we answer you and intervene in 24 × 7. You have a centralized view of your infrastructure from your Agarik Customer Portal and your monthly activity reports. Thanks to its quality of network operator, Agarik bears an end to end responsibility for the availability of your applications for the benefit of your users’ experience. Canopy, Microsoft Azure, OVH, Amazon and many others … we are able to operate all Public Clouds as well as manage your subscriptions to specific conditions related to our partnerships. Our team is passionate about web technologies, Cloud, Open Source and Big Data. They know your problems and support you on a daily basis. Our objectives: proximity, responsiveness and quality of service !